………ha unido sus fuerzas con la comunidad de LACA SC y les hace saber de su gran iniciativa de recaudación de fondos destinada al club. Boston Pizza Hunt Club patrocinador de LACA SC donará al club el 10% de todo el consumo de comida y bebida (monto previo a tax) hechas por la comunidad de LACA y sus familias. Todo lo que tienen que hacer es guardar su recibo cuando visitan Boston Pizza Hunt Club y colocarlo en la caja que LACA tiene en Boston Pizza, indicando LACA SC. Los fondos colectados irán a apoyar a miembros de nuestra comunidad que deseen disfrutar de jugar futbol. Disfrute también del coupon de descuento cuando consume en el restaurant! Valido hasta el 30 de septiembre del 2016. Summer Time is…..Boston Pizza time! We have joined forces with the LACASC community and wish to let the community know about our great fundraising initiative. 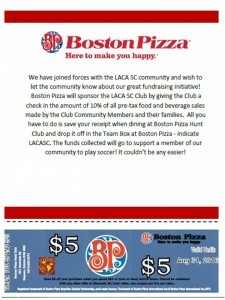 Boston Pizza will sponsor the LACA SC by giving the club a check in the amount of 10% of all pre-tax food and beverage sales made by the Club Community Members and their families. All you have to do is save your receipt when dining at Boston Pizza Hunt Club and drop it off in the Team Box at Boston Pizza – indicate LACASC. 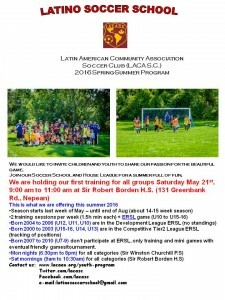 The funds collected will go to support a member of our community to play soccer. Please enjoy the attached voucher on your visit in! Valid date should be Sept 30 2016. O-Fury game + Hot Dog and a beer! The youth teams have Fury Fanatics, and the OCSL didn’t want the adults to miss out on the fun either! 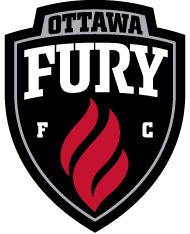 The OCSL has partnered with the Ottawa Fury FC to get ticket deals for all its players. The first deal is for the May 22nd game. Perfect for a early season team bonding session! Tickets are $20 each, or if you buy 10 or more you can get tickets at $15 or $20 for a ticket, beer and hot dog. For more info, please call Faran Mirzaat 613-232-6767 x8401. Player Cards: How to? / Where do I? All players must come to their games with their players cards ready. This is an OSA / EODSA mandated requirement. New players please click on EODSA link below to start the process to obtain your own. There is a one time cost.